YEREVAN–Turkey and Russia are competing for strategic influence over the South Caucasus, waging their struggle for regional dominance in Nagorno-Karabakh, the Director of the Oriental Institute at the National Academy of Sciences in Armenia’said on Wednesday. “Today Russia and Turkey are struggling for the South Caucasus, and the Karabakh conflict is one of the most important fields of this struggle,” Ruben Safrastyan told reporters during a press conference in Yerevan. He said both countries are pushing for a greater role in becoming the exclusive mediators to the Nagorno-Karabakh conflict. Since the Russian-Georgian conflict in August, Turkey has been working, with renewed zeal, for greater influence in the Caucasus, linking the normalization of its relations with Armenia to a resolution of the Karabakh conflict favoring Azerbaijan’s position. Last month, Turkey’s Foreign Minister Ali Babacan hosted trilateral talks with his Armenian and Azeri counterparts on the sidelines of the UN General Assembly, a move seen, by analysts close to the conflict, as an attempt to skirt the current format of negotiations within the OSCE Minsk, co-chaired by the United States, France and Russia. 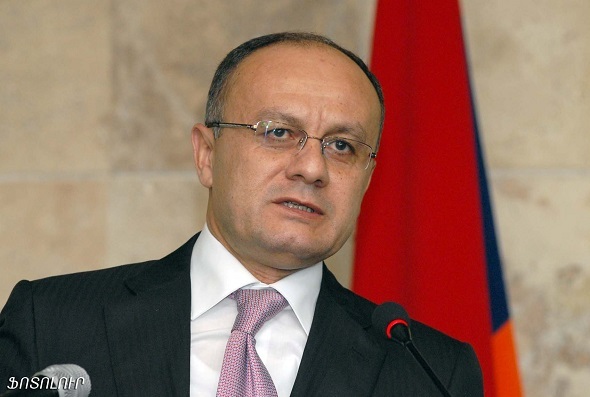 “In this situation, the two countries are struggling for the South Caucasus," Safrastyan said.